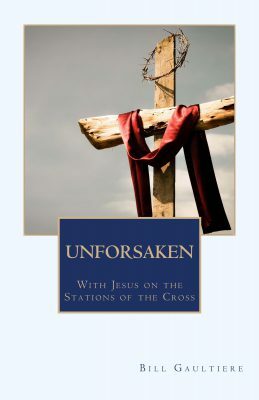 Psychologist and Spiritual Director Bill Gaultiere guides you on a prayer walk with Jesus and the ancient stations of his cross. A hope-filled journey with Jesus! This guide is for your personal devotions or to share with friends in a small group or on a retreat. It’s great for Lent or anytime of year. Appendix One features an outline for eight messages or studies. Join Our Free Podcast on “Unforsaken”! During Lent on our “Soul Talks” podcast Kristi and I will be sharing our personal responses and applications to the readings in Unforsaken. You and your friends can follow along with us, week-by-week. It’ll be like we’re in a small group together! It all starts with the episode of “Soul Talks” that broadcasts on Saturday February 25th! Bill Gaultiere, PhD is the author of Your Best Life in Jesus’ Easy Yoke: Rhythms of Grace to De-Stress and Live Empowered. He and his wife Kristi lead the ministry of Soul Shepherding to cultivate intimacy with Jesus for pastors and other servants of the Lord. They and their Associates offer counseling, spiritual direction, retreats, and a certificate training program. They have three adult children and live in Irvine, CA. Hi Pramala, You are able to order a copy of Unforsaken at the above “blue” rectangle links. If you would like further information contact us here. Praying the Lord will bless you during your walk with Him during Lent.